River front cabin in the beautiful Chetco River Resort. Fish right off your deck while enjoying the view. New bamboo flooring and big windows makes the view enjoyable even when you cant be outside. 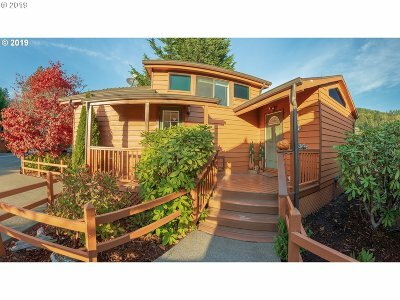 Walking distance to river access. At this price this one wont last long! Dues of $637/mo includes wtr, swr, gbg, cbl, river access, riverside deck, rec rm, & laundry.